VMware Cloud on AWS helps IT support business with scalable infrastructure resources in an agile and efficient manner. VMware Cloud on AWS offers a truly integrated hybrid cloud, enabling single-pane-of-glass visibility, manageability and portability of workloads across the on-premises datacenter and AWS. 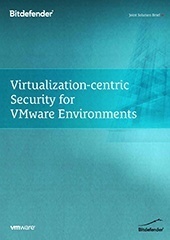 A VMware Ready solution from Bitdefender (a VMware Elite Partner), GravityZone has been fully validated on VMware Cloud on AWS, delivering award-winning layered next-generation defenses for workloads running in VMware Cloud on AWS while promoting its manageability, performance and cost-related benefits. 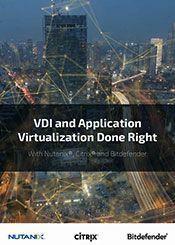 Virtual Desktop Infrastructure (VDI) has become commonplace across financial services, healthcare, education, and many other industries, with 75% of enterprises already using or planning to deploy VDI (according to Gartner). 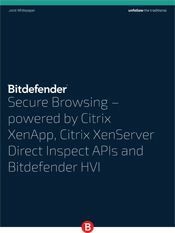 Nutanix, Citrix and Bitdefender help organizations realize the full potential of VDI with an efficient, scalable and secure solution designed to maximize the return on infrastructure investment, while delivering optimal end-user experience and protecting valuable assets and data. As a progressive IT leader, you are all about business enablement, service availability and operational efficiency. You demand an IT architecture that provides a better return on investment, facilitates agile service provisioning and seamlessly scales as your needs grow. You need the flexibility to use the most effective and economical application delivery option—whether it is private or public cloud. That’s why you run your datacenter on Nutanix. 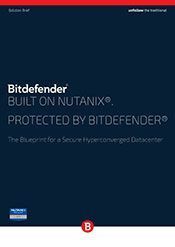 When it comes to protecting Nutanix infrastructure, however, not all security products are created equal. 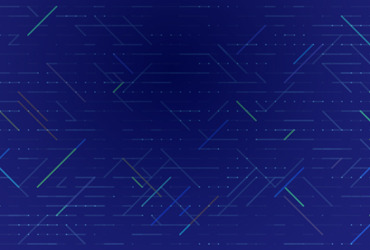 A certified Nutanix AHV-Ready solution, GravityZone Datacenter Security is the only server workload security platform that enables out-of-the-box automation on Nutanix, helping ensure compliance while reducing operating costs and increasing infrastructure utilization across the enterprise cloud. 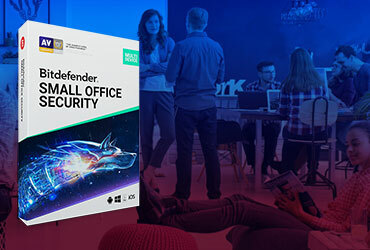 Bitdefender Advanced Threat Control is a pro-active and dynamic detection technology, based on monitoring processes and system events, and tagging suspicious activities. It has been designed to act against never-before-seen threats based on their behavior. 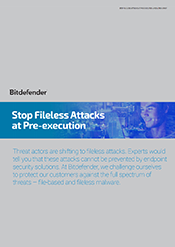 Threat actors are shifting to fileless attacks. Experts would tell you that these attacks cannot be prevented by endpoint security solutions. 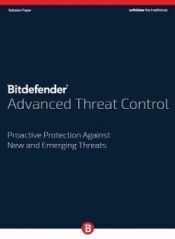 At Bitdefender, we challenge ourselves to protect our customers against the full spectrum of threats – file-based and fileless malware. 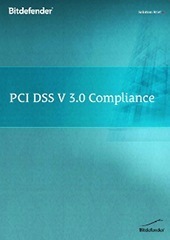 As retailers and e-commerce organizations continually examine security solutions to uphold PCI DSS requirements, they face a threat environment that is in constant change. 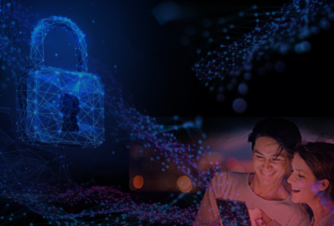 This solution brief describes an approach that goes beyond traditional endpoint security in physical, virtual and mobile environments, and describes how GravityZone delivers high performance in all three, without sacrificing protection and compliance needs for PCI DSS v3.0.